A makeup artist is often called as the bride’s best friend because he is the one who renders the ravishing and drop-dead gorgeous avatar to her. Like everything else, perfect makeup is of profound importance for the bride. No matter how trendy and exorbitant designer jewelry and clothes a bride wear on the wedding day, if the makeup game is not top of the line, her bridal appearance will be less than the perfect and lackluster in wedding photographs. If a bride really wants to stand apart from the pack and become the center of attraction at her wedding day, she must hire a renowned and highly-experienced makeup artist in Ahmedabad. With an eminent makeup artist on your side, you don’t have to worry a bit about your bridal appearance. Not only you will get rid of the stress of having a perfect makeup but also you will sizzle hard at the most special day of your life. In a metro city like Ahmedabad, finding a makeup artist is not a strenuous task but the real deal is to find the perfect one among the myriad of options. If you are facing the dearth of time to find the best makeup artist because of soul-tiring wedding planning tasks, not an issue. 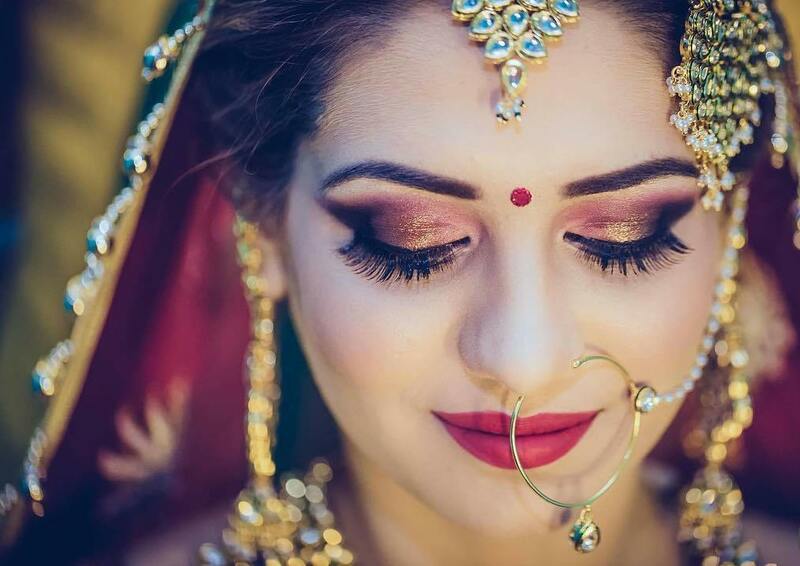 Shaadidukaan is standing by your side to solve your wedding makeup problem by helping you in landing up with the top-notch bridal makeup artist in Ahmedabad city. To get the best out of your discussion with the makeup artists, we have garnered some essential pointers that you must ask bridal makeup artists in Ahmedabad before you hire them for the wedding makeover. 1. What is The Range of Services They are Offering? - According to the demand of customers, different makeup artists’ offer only selective beauty services, while others provide an all-inclusive service. The major services which are offered by the professional makeup artists are face makeup, hairstyling, nail paints, draping, eyelashes, manicure, pedicure, hair shampoo etc. Before booking the makeup artists confirm with them, do they provide all the above-mentioned services to the clients or not? 2. Do They Have The Work Portfolio Which You Can Review? - One of the best ways to meticulously judge the competency of makeup artists without breaking a sweat is reviewing their work portfolio. A professional and reputed makeup artist always maintain his work portfolio of the past work and provide it to customers as soon as they ask for it to review the work. Always check up with the work portfolio of makeup artists before hiring them for the job. 3. Will They Bring The Makeup Products or Do You Have To Arrange Them? - Some of the makeup artists bring the makeup products with them, while others only provide the service and the clients have to arrange all the makeup products on their own. The reason behind that is some brides are quite brand conscious. They only utilize the finest quality makeup products which don’t cause skin allergy problems. So this pointer is quite essential to confirm with the makeup artists before hiring them. 4. How Do They Charge The Clients? 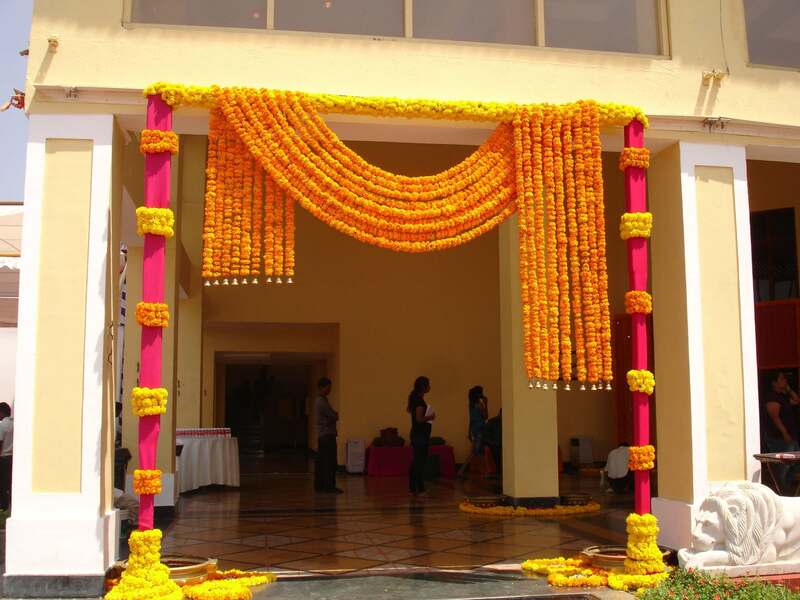 - An Indian wedding function is one hell of an extravagant and gala affair. Along with the bride and groom, family members and guests’ show equal enthusiasm in the wedding and actively participate in all the rituals and ceremonies. Apart from the bride, there are bridesmaids and other women who do want to look drool-worthy at the wedding function. In that scenario, you need to avail the services of a top makeup artist in Ahmedabad for numerous individuals. Before hiring the makeup artists confirm with them about their charges. Ask, do they charge on per person basis or per hour basis? 5. Do They Provide Any Backup In Case of Emergency? - Emergencies can occur at any time, anyplace, and anywhere. But for a bride, emergency of the makeup artist at the most special day of her life can ruin her coveted bridal appearance as well as entire wedding function. To avoid such dire circumstances, confirm with the makeup artists, do they provide any backup service in case of an emergency occur to them? Why You Must Consider Shaadidkuaan To Hire Makeup Artist in Ahmedabad? 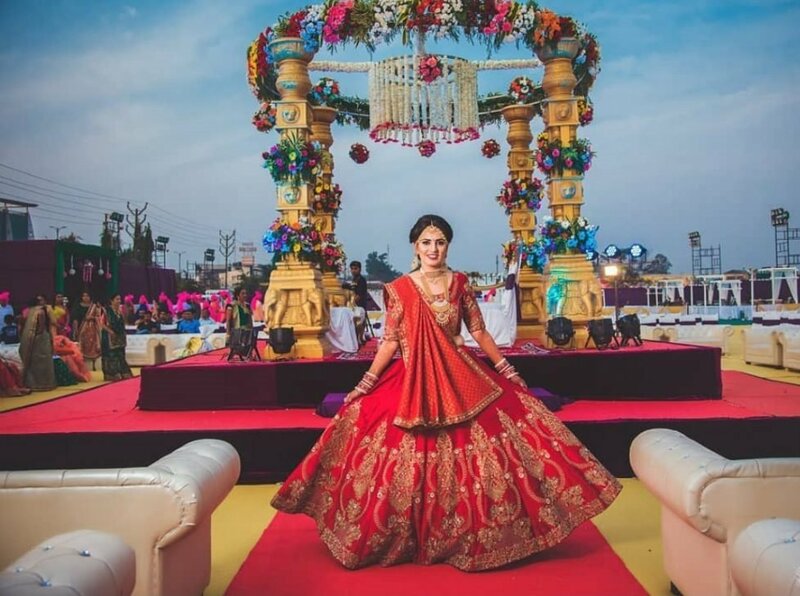 Getting the best bridal makeup in Ahmedabad service to look captivating is something which every bride dreams off for the biggest day of her life. 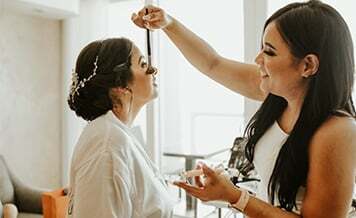 But as we all know, a bride barely gets a sigh of relief while planning for the wedding, forget about making the time for hiring the makeup artist. That’s where the Shaadidukaan role comes into play. All we do is provide you the Ahmedabad city prominent makeup artists at one single place. Just select the city, category, and get a colossal list of most trusted and verified makeup artists in Ahmedabad city within a blink of an eye. Our bridal makeup vendors can turn the most ordinary of a girl into an utterly ravishing and scintillating bride without breaking her wedding budget. So, stop thinking and hop on to the Shaadidukaan to book the best makeup artist right away.